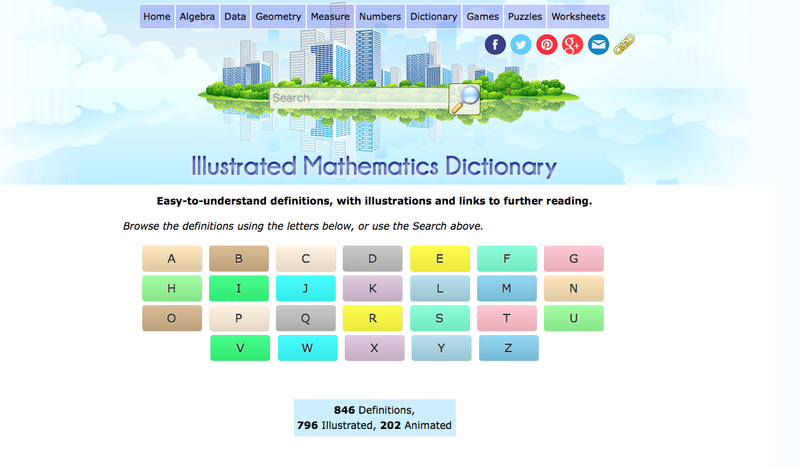 Illustrated Math Dictionary - great resource for all you parents and math teachers out there! 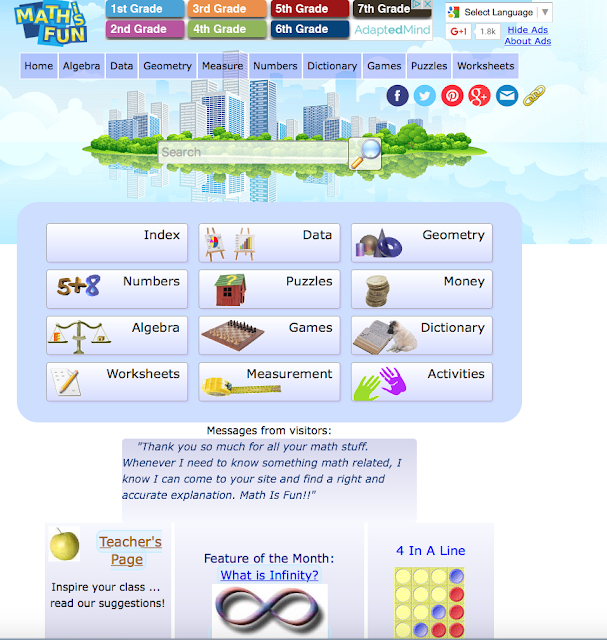 Math is Fun is a great free website that explains math in easy language and includes worksheets, games, puzzles, and quizzes. The dictionary includes over 800 terms with simple definitions and an illustrations. 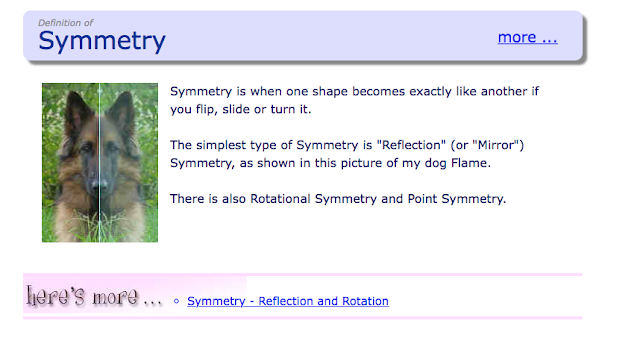 Below is an example when the user selects symmetry. If the user selects "here's more" - there is quite a bit more useful information.